While we don’t have to make the argument for SEO when it comes to a website, it’s often overlooked that social platforms, like Instagram, are their own search engines. Understanding how Instagram’s search function works is a necessity to increase organic reach, being discovered by relevant users, and growing your follower-base. At a very basic level, if you want to be discovered and grow your Instagram following, you’ll need to use hashtags and the search function properly, focus on hashtags and content specific to your industry and keep quality, novelty, and consistency at the forefront. It may sound easy, but many brands struggle to grow their following and end up giving up too soon and focusing on other platforms. This article is going to detail the core functions of Instagram, and provide 10 easy-to-implement strategies to optimize your account for Instagram’s search function and your posts for stronger engagement, and ultimately sales. Ensure your Instagram bio and profile are created to help you, and not hinder you. This is one of the most critical parts of your Instagram profile that should do at least two key things: convey what your business does and indicate how someone can find you. An even better bio will also help you showcase your brand personality and beliefs, and have clear CTA. Let’s go through in a checklist-style format of considerations to keep in mind as you create your bio. Your profile name and username are the only two things searchable in the Instagram search field, which makes them incredibly important. Your profile name is not the same thing as your username. The profile name should be your company/brand name, and should be consistent with your names on all of your other social channels. Your username can also be your business name, but can vary slightly from your profile name. If your username is going to differ, it should include an additional keyword your audience predominately searches for. For example, Nike has variations of its name on different Instagram accounts to maximize Instagram’s search function, like “NikeWomen”, NikeSportsWear”, “Nikefootball”, and “NikeRunning”. Notice that each account maximizes searchability by using a target keyword in combination with the brand name. If your business name is taken you can play off of variations like this which will ultimately help you get found by more people. This is the only link in your profile, so make it count. You can include your direct website link if you’re just starting out. Ultimately, you’ll want to frequently update this URL, pointing it to your latest offering, recent content, or campaign page. Unless you run sponsored posts on Instagram, this will be the only link on your profile. To change the link in your bio, go back to the “Edit Profile” button and simply put in the new URL. Pro note: If you want to include tracking, make sure the link you include is a tracked link (through Google URL Builder, Bit.ly, or another URL builder) instead of your standard URL. No big deal for 150 characters, right? Before you get overwhelmed, I promise it’s not that hard. Focus on accurately explaining what your business is and does in a few keywords. Think about what you want your company to be known for, like a particular skill, interest, etc., and add this into your bio. Consider what sets you apart from competitors. Highlight your beliefs, or weave in your mission statement or tagline. You can also have fun with it and add emojis to convey a word, or just break up the text. A branded hashtag is also a great way to add a personal touch to your bio. You can also add a line break into your bio as a great way to break up text and make the information more consumable. Instagram also allows tags to other Instagram handles in your bio. So, if you’re like the Nike example and have multiple Instagram accounts, you can easily link to each account and strategically direct your audience to each one. And finally, a CTA goes a long way, and can drive more engagement on your posts if done correctly. Ask your audience to comment on your content directly in your bio, or drive traffic to your product page, offer, or event. Here are prime examples of profiles to strive for. These two incorporate their brand personality and beliefs. The next example incorporates many of the strategies mentioned above like CTAs, profile tags, emojis, line breaks, buttons, and keywords. Lastly, for business accounts, you can now include additional links on your page to add things like your business email and a location. These buttons will only show up in the app, not on webview. This last, but certainly not least component of your profile is very important. Your photo should be a clear, high-quality image, and if you are a business, preferably your logo. A good rule of thumb is that whatever photo you choose, it should be as attractive on your profile as it is when it’s minimized in the feed. Pro note: Make sure your image crops nicely in a circle. 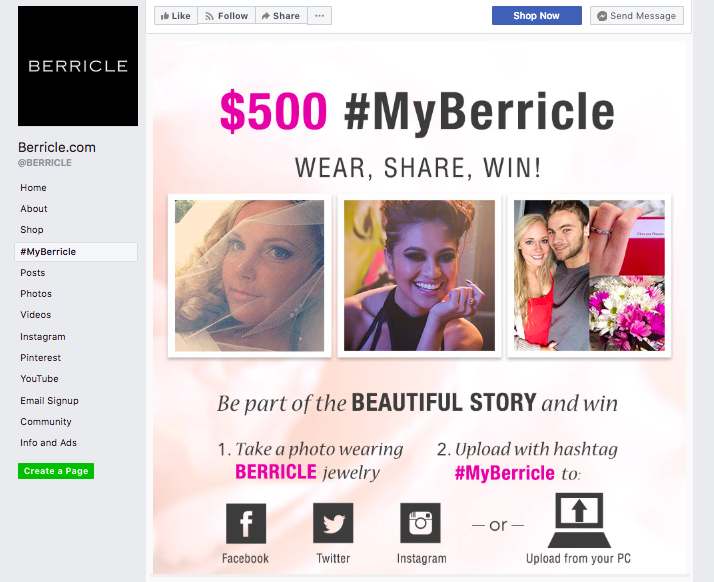 Many businesses make this mistake and their photo gets an unflattering crop. On Instagram, hashtags can make or break the discoverability and engagement of your posts. On Instagram’s search options, users can search by hashtags, which means the key to your post and profile being found this way is determined by adding the relevant hashtags to your content. Focus on balanced hashtags with a high search volume, yet are not so overused that your post gets buried in the noise. You can add a large number of hashtags directly to your post without penalty, as this practice is widely accepted by users. The best way to find hashtags for your post is to become a detective and use Instagram in the way your target audience would. Go to pages your audience would like or does like, and check what hashtags they use on their own posts. Study the keywords that cover their interests, passions, and problems. There is no Keyword Planner for Instagram, so the only way to find effective hashtags is by diving into the research and constantly testing new hashtags. Here are a few key considerations for creating posts that engage your target audience, and reach more of the people you want to follow you. Use high-quality, relevant photos. You can no longer get away with pixelated, poor quality images on Instagram. Make sure the photo is high-quality, or use a filter and editing tool to raise the image quality. Make sure the shot is also well-framed and crops nicely into a square. The best photos on Instagram are interesting, novel and relevant. When thinking of your content, what might your target audience care about most? What do they like, and what would they find interesting enough to engage with by way of commenting, liking or even regramming? Include your personality, a story angle, and an image that sets your brand/company apart from everyone else and their Instagram profiles. Caption your photo with something unique, funny, emotionally captivating, and most important — make sure the caption is relatively short. Hashtags. Again, hashtags are the sure-fire way to increase the visibility of your posts. Follow the hashtag research guidelines we provided earlier in this article. Depending on your post and brand, make sure to incorporate some local hashtags, holidays, events, and trending. Tag your location. This is especially helpful for local businesses, increasing visibility to people in the same location. This feature also allows your posts to show up on “place” searches in the Instagram search bar. Instagram favors accounts that are active. You don’t have to post a high-quality image to your account multiple times each day, but instead can focus on creating high quality, relevant posts once a day. Creating something like a content calendar can allow you to plan posts out over longer time periods so it’s easier to stay on track, and also begin building a “backlog” of photos for times you need them. 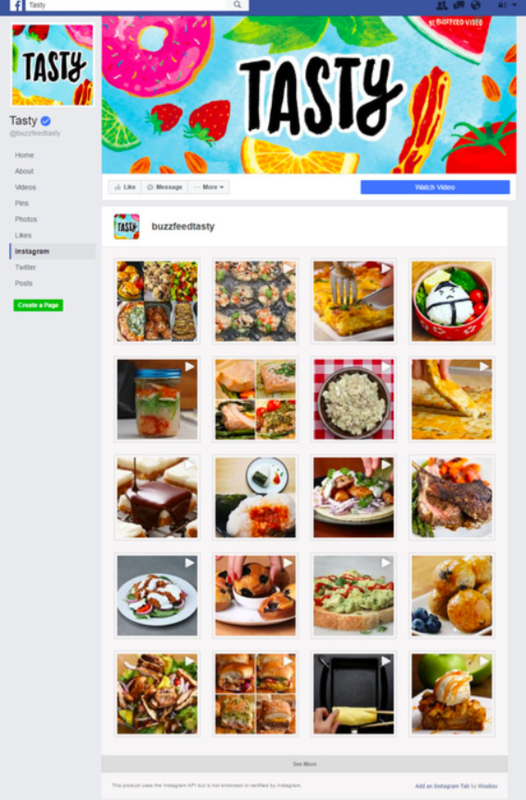 With this Woobox feature, you can bring your Instagram feed in a beautiful, gallery style format to your Facebook page, introducing your Facebook audience to your Instagram account. People can easily follow you on Instagram with the “follow” button from the tab. A common challenge is getting your Instagram followers to leave Instagram and go to your website. An easy, non-invasive way to encourage them to go there is by directly tying a post to the URL on your bio, and telling the user in the caption to take an action, like “visit the link in our bio to find out more”. 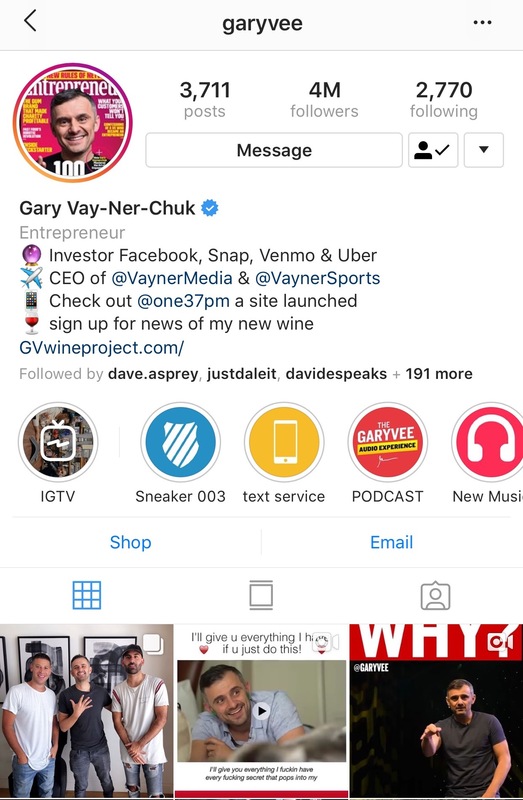 You can also do this creatively in your Insta Stories by taking a screenshot of your bio, and drawing an arrow, or writing text encouraging followers to check out the link. A bonus hack using Insta Stories to get more post engagement is whenever you post a new photo, screenshot the post and share it in your Insta Stories and use the hashtag “New”. This will bring users who may have missed the post to go check it out and engage. A hashtag contest is a surefire way to grow your following, especially when your account is new or doesn’t have a large follower base yet. You can run a photo contest with hashtag entry, like the Woobox customer below who’s cross-promoting the contest on Facebook, Instagram, and Twitter for maximum reach and engagement. Have your users take a photo using your product, or post a photo with content related to what your business does or the industry. Then you can create a custom hashtag, or use your branded hashtag and have users hashtag their photos with either or both so that you can easily curate and sort through the submission later. Woobox makes this process incredibly simple to manage. You can also request all entrants to follow you on Instagram to enter to win. Facebook banned this CTA, but currently, there is no penalty for requiring a follow on Instagram. You can also request all entrants to “leave a comment” on contest-specific posts on your profile to increase engagement. And lastly, you can ask users to “tag a friend” in the comments of your contest posts, although this can be frowned upon due to annoying some users who dislike being unexpectedly tagged, it does not break any rules and often leads to many new users finding your profile that might not have otherwise. We suggest using this tactic with consideration and care. Your first thought might be, “Well I can’t afford this right now.” Let us ease some of your concerns, as influencer marketing is not limited to high-profile celebrities, and seems to work best with mid-tier influencers. There are plenty of mid-sized niche influencers through Instagram that can help you get your product or service in front of their audience, who trusts them and values their suggestions. If you don’t have the capital to pay for an ad, many influencers will also accept free products or services in exchange for a post on their profile. Start by searching your industry or your product/service category and see who has significant influence in the space. Remember to also browse through their posts and make sure they’re getting actual engagement. Follower numbers can be deceiving, and you want to make sure you’re making a solid investment. Like every other platform, advertising is the way to gain exposure. The easy part about Instagram advertising is that it’s already tied into Facebook’s advertising platform, so you can create your ads in one location, and benefit from Facebook’s superior targeting capabilities. Choosing an objective that supports Instagram. Being mindful of formatting, and using images that are created for Instagram or Insta Stories. Before placing the order, make sure the “check” is marked next to Instagram in the Ad Preview section. With Instagram users being 58 times more likely to engage branded content than on Facebook, it’s definitely worth a try. While your Insta Stories will not have a large effect on your SEO efforts, it’s a great way to showcase your personality and bring your brand to life for your user. You can use your stories to showcase client work and success, to talk about your products, to share company wins, and to showcase staff personality. You can also use the polls and ask a question features to get valuable opinions directly from your target audience about products, services, and more. Involving your audience on a more personal level will humanize your brand, and allow the user to feel more connected to your brand. While Instagram’s SEO and optimization features are limited, you can learn how to maximize what is available, and use creativity, personality, and the strategies above to grow an engaged following. Some of the strategies above such as adding an Instagram tab to your Facebook, or running a photo contest can be done seamlessly and effortlessly using Woobox. Signing up for a Woobox account and creating as many campaigns as you’d like is free. Woobox accounts cost nothing until you’ve decided to launch and complete a campaign.